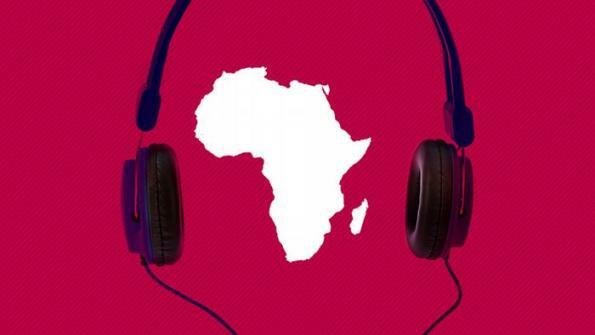 Several radio partners in Sub-Saharan Africa are expanding cooperation with DW. In Nigeria, Radio Gombe is acquiring English and Hausa radio programs. The station covers the states of Yobe, Borno and Adamawa. In Congo, Radio Mwana is acquiring DW’s complete French programming lineup, with stations in Mbandaka and Gbadolite that reach more than 750,000 listeners. A new radio partner in Mbuji-Mayi, Radio Fraternité, will be broadcasting one hour of French programming daily to a potential 500,000 households. In Ghana, the Internet radio broadcaster Ghana Waves Radio now includes DW live streams in six languages. The streams are also included on the Ghana Waves app and on-demand. DW radio live streams and newsfeeds in a variety of languages are also available now across Africa on the Africa Live Radio and News App. The Liberian state broadcaster LNTV is now broadcasting one hour of DW programming every day. LNTV is the only Liberian TV broadcaster with nationwide coverage. Included in the programming package is DW News, Euromaxx, Kick off!, and In Good Shape. In Tanzania, DW is the first international news provider available on the video-on-demand platform SIMUtv. The app has already been downloaded 100,000 times. DW has expanded cable network partnerships in India and Bangladesh, with several cable providers acquiring DW’s English channel. This increases DW’s technical range by 400,000 households in Bangladesh and by 250,000 households in the Indian states of Bihar and West Bengal. The Bengali-language app Kokil now includes an RSS feed with content from DW Bengali. The app currently has 50,000 users. DW’s English-language channel is now part of the line up on Star Cable Network, the largest cable network in the Afghan capital, Kabul. The Colombian news website Publimetro now features a DW content box with Spanish-language news articles from DW. Publimetro belongs to Metro International, a well-known publisher of free newspapers in cities around the world. The Publimetro news portal registers 3.2 million unique visitors every month. DW has a new Smart TV partner in the United Kingdom. The OTT provider Vision247 is now broadcasting DW’s flagship English channel in its entirety on the free-to-air entertainment portal, Vision TV. The portal is available on the digital TV service Freeview on channel 244 and can be received by a potential 7.3 million households in Great Britain. Vision TV is also available for mobile devices and on web-TV. DW has been increasing its presence in Asia by adding more broadcasting and production partners while expanding into new regions. Since the launch of DW News, Asia has taken a larger focus due to its diverse and rapidly-growing media markets. A big piece of DW’s strategy is collaborating with partners in target regions. By building strong partnerships from the ground up, DW can reach more people across Asia with programming that speaks to them. Representatives from DW are currently in Singapore at the Asia TV & Forum Market (ATF) to explore the potential for growth in content markets across Asia. The event is one of the largest of its kind in Asia and presents a huge opportunity for DW to open new doors and become more visible. To open doors with audiences, DW develops regionally-tailored co-productions with local partners. Two recent deals with partners in India and Vietnam are the latest advancements for DW in Asia. The Indian public broadcaster Prasar Bharati and the Vietnamese state broadcaster VTV both signed memorandums of understanding (MOU) to work on co-productions in the near future. Included in the MOU with Prasar Bharati are the co-production of DW’s award-winning lifestyle show Euromaxx in Hindi and dubbing the Hindi science program Manthan into other Indian languages. The MOU with VTV will involve co-producing a new science magazine program. Since 2013, DW has been providing Vietnamese subtitled versions of nine shows including the popular Global 3000 and In Good Shape. Since March 2015, VTV has also packaged and broadcasted a Vietnamese version of Euromaxx. VTV has also broadcast DW’s English-language channel in its entirety since 2006. Producing content that connects with audiences in diverse markets around the world requires more than a one-size-fits-all strategy. DW has always understood this and sets an example for international cooperation in broadcasting that diversifies programming and brings new ideas and perspectives to viewers.